The Camel Cowfish, Tetrosomus gibbosus, is a unique humped fish with big eyes with a honeycombed pattern across its yellow/brown body. Also known as the Helmet Cowfish, Camel Boxfish, Humpback Turretfish, and Thornback Boxfish, it is native to the coastal reefs of the Indo-Pacific. 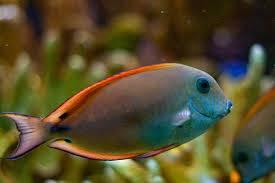 Given the Camel Cowfish's relatively difficulty of care, it should be reserved for experienced aquarists only. 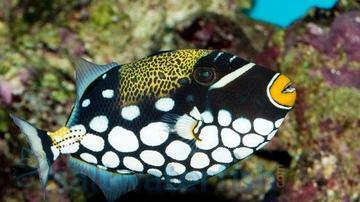 Keeping the Camel Cowfish in a home aquarium requires significant forethought and preparation. 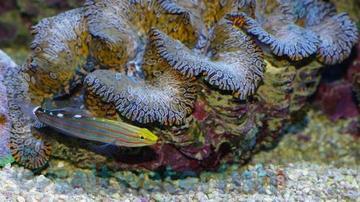 This is a unique reef fish only suitable for expert and experienced aquarists. They can grow to be 4 inches, and should be kept in a tank at least 100 gallons. It is a rather peaceful fish, but can become territorial towards other Boxfish, therefor they should not be kept with other Boxfish species. They should also no be kept with aggressive, or fast moving fish, or any cleaner type fish, as they may be injured by the Boxfish. 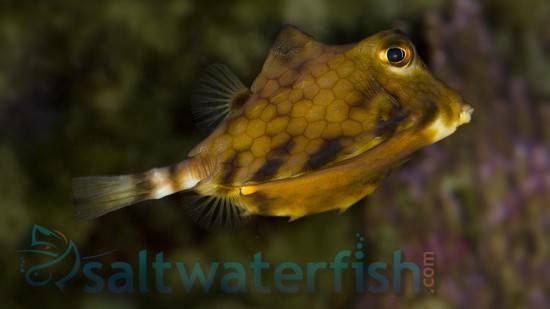 The Camel Boxfish can also nibble on tubeworms and other sessile inverts, and, like other boxfish, secrete a poisonous toxin if stressed that can wipe out an entire tank. When first introduced to the tank, they will feed on live meaty foods such as live brine shrimp or bloodworms. But then transition to chopped clams, krill, raw table shrimp, mussels, or Squid. They should also be fed with herbivore preparations for variety. They have this specific habit of coming to the surface when hungry. This begging behavior, though cute and charming, should be discouraged as it may swallow air and cause buoyancy problems. 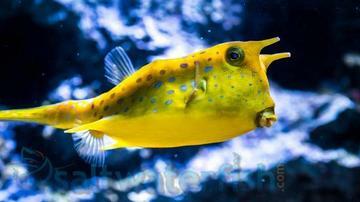 If these necessary steps are taken, the Camel Cowfish can prove extremely adaptable and hardy in the home aquarium. They will thrive ion a temperature range of 72-78° F and a pH of 8.1-8.4.